They place high importance on “being strictly up-to-date”. They boast of “scholarship” above faithfulness to the Scriptures. They take a rationalistic approach to the Word. They tend to reject the supernatural events in the Bible such as the flood. The apocalyptic or visible second coming of Christ to raise the dead and judge the world. They show respect for “ethnic religions”. The Modernists often display a high regard for the Bible that is, as they have “expurgated” it. 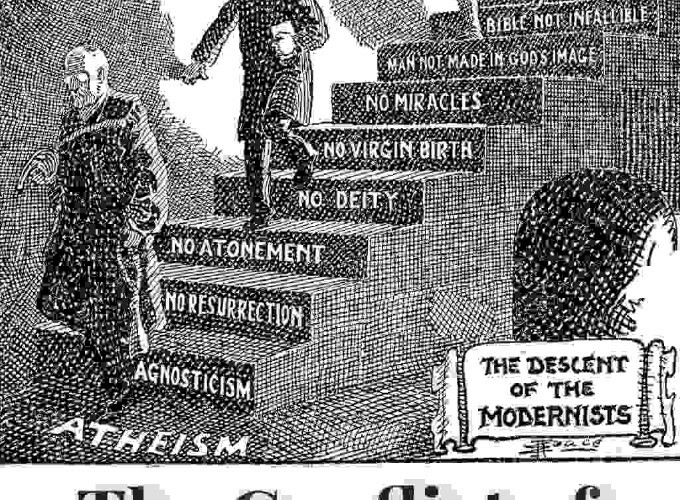 In general the Modernists have a high regard for Christ. A third insignia of Modernism is its rationalistic attitude toward the Bible. Arm in arm with the acceptance of evolution goes, to a large degree, the rejection of the supernatural. There are at least six specific doctrines of historic Christianity that the Modernists cannot accept. It may be frankly admitted that some of them are more earnest than gentle. 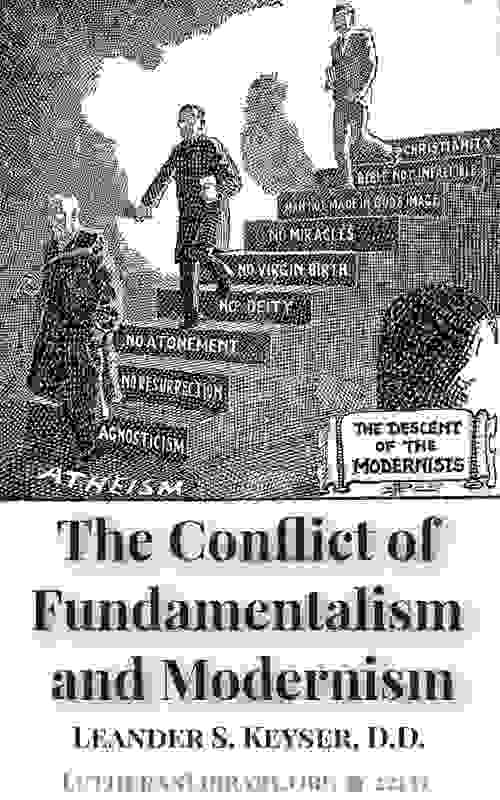 The Fundamentalists stand firmly, unalterably for the orthodox doctrines. Taking a firm and stalwart position on the Bible, they logically accept, ex animo, whatever they believe to be the clear teaching of the Bible. The Fundamentalists also hold it to be a Christian duty to defend the faith, and not to sit idly by and let the enemies beset and capture the citadel of truth. The Fundamentalists are sometimes accused of being opposed to science. Chapter 4 – What Is The Duty Of The Evangelical Churches? They surely cannot remain placid and indifferent in this crucial contingency. Many strong books have been published in recent years on the positive side of this controversy. Leander S. Keyser was born March 13, 1856 in Tuscarawas County, Ohio. He was educated at Wittenberg College Seminary, Springfield, Ohio, and served pastorates at La Grange, Indiana (1879-1881), Elkhart, Indiana (1883-1889), Springfield, Ohio (1889-1895), Atchison, Kansas (1897-1903), and Dover, Ohio (1903-1911). He was appointed professor of Systematic Theology at Hamma Divinity School in 1911, and was considered one of the leading theologians of the General Synod. Dr. Keyser’s works include The Conflict Between Fundamentalism and Modernism, The Rational Test, A System of Christian Evidence (Apologetics), A System of General Ethics, A System of Natural Theism, and In The Redeemer’s Footsteps.